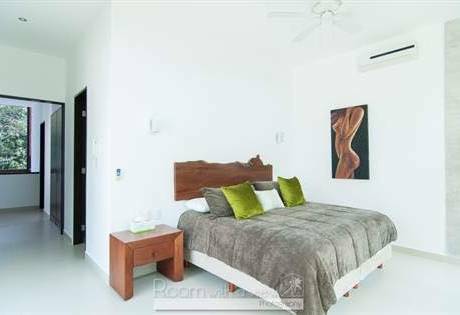 Beautiful 2 Bedroom/2 Bath Condo on the magical island of Isla Mujeres (20 minutes via ferry from Cancun). The condo was recently built as part of a 24 unit condo hotel (Ixchel Beach Hotel). The unit is fully furnished and contains a kitchen and a patio. The unit is ground floor just next to the pool and only a few steps from the beautiful white sands of North Beach. Would consider rental if exchange doesn't workout. Our family of four (two young daughters) resides in New York City. We are interested in exchanging to enable us to make local escapes out of NYC when we are unable to go to our Mexican condo. Our ideal exchange would be drivable getaways from NYC in places like The Hamptons, The North Fork, Fire Island, Upstate NY, or skiing in Vermont, New Hampshire, and New York. Located on beautiful North Beach on the colorful island of Isla Mujeres in the Mexican Caribbean. The condo is ocean front. Step out of the apartment onto the patio and you are steps from the pool and about 25 feet to the beach. The numerous restaurants and shops of "downtown" are only one block away. 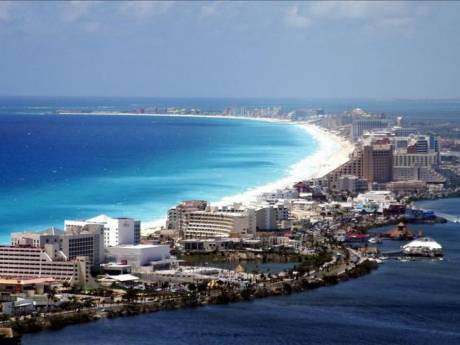 The condo is located just 30 minutes north of Cancun Airport and 20 minutes by ferry from downtown Cancun (Puerto Juarez). Ixchel Beach Hotel offers an upscale, intimate island experience perfect for families and couples.